MDSA transformed a former empty lot into a vibrant outdoor recreational and learning environment for pre-school and young school-age children. 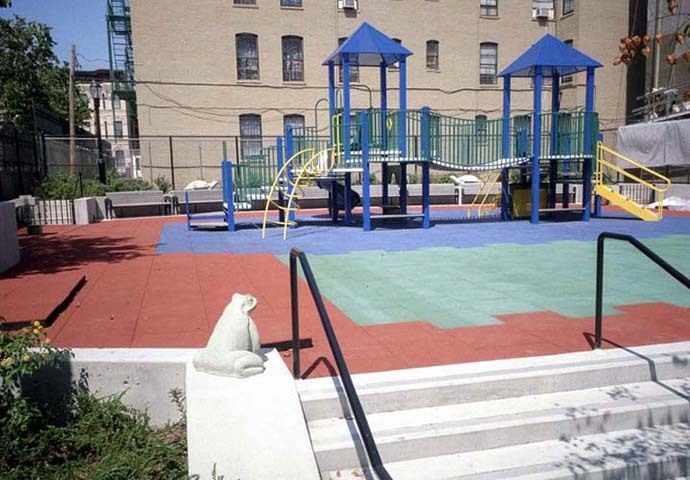 The new playground contains a series of colorful areas for sitting and for play, with age-appropriate equipment, soft surfaces and landscaping. 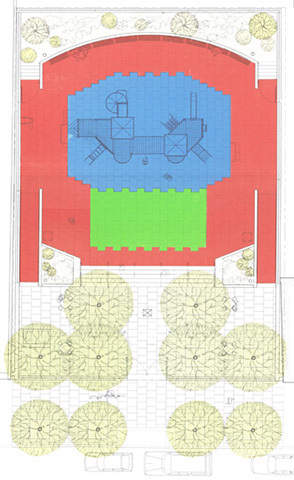 The configuration of the playground takes full advantage of the south facing orientation of the site. Play areas are bathed in sunshine, while shaded benches provide some respite for caretakers. 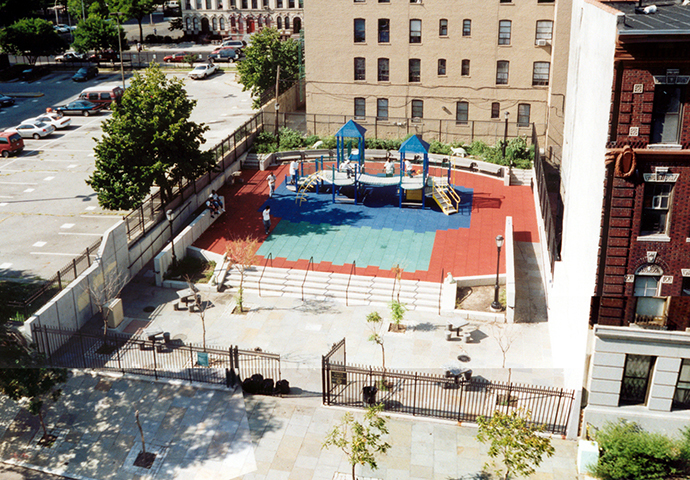 Clear sightlines extend from one end of the playground to the other. MDSA created an environment that would be enjoyable and safe for a diverse population. The nearby childcare center and school use the facility, as do neighborhood families. 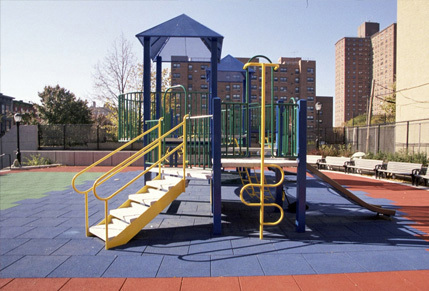 Consequently, the playground can accommodate unsupervised children, as well school groups and those children with an accompanying adult. 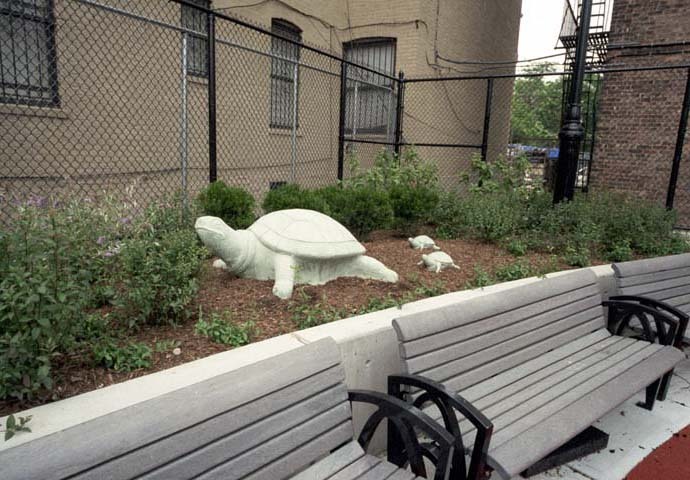 We also provided a variety of playground equipment and “play sculptures” as part of the NYC Percent for Art Program. 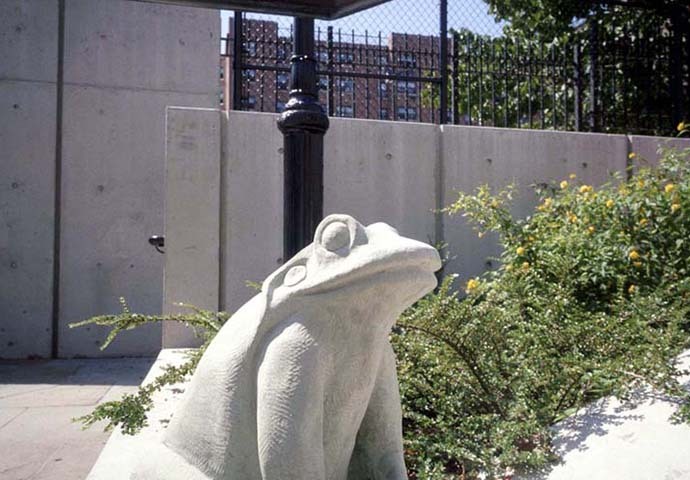 The animated forms of the cast-stone animals and insects invite children to sit, climb and use their imaginations.